Veteran guide Roger LaPenter of Anglers All in Ashland fishes out on Lake Superior with his wife, Carolyn. Lake Superior in summer means plenty of smallmouth bass in Chequamegon Bay. The smallmouth bass fishing season runs from mid-May through late October, the latter considered to be “trophy month” for “smallies.” The 12-mile-long bay’s rock piles and breakwater structures make for perfect bass habitat. Captain Roger LaPenter, proprietor of Anglers All in Ashland, has been taking fishermen out on the bay for more than 30 years and has been guiding since he was 15. LaPenter explained that fishing regulations protecting the bass have allowed them to thrive in Chequamegon Bay, leading to its designation as a world-class smallmouth fishery. And smallmouth bass are not the only species of fish luring anglers to Chequamegon Bay. LaPenter said Ashland’s near-shore or in-shore fishery is phenomenal. “That could be anywhere from the shoreline to 20 feet of water. You’d be amazed at how many people do fish the shoreline; locals as well as tourists know you can get some beautiful early catches. LaPenter said he sees a definite silver lining to the harsh winter Ashland County has just emerged from, including the fact that the inland lakes were barely touched. “Usually there are as many fish taken out of those in winter as there are in the summer,” he noted, adding it should all make for an even better summer season. “Water levels should be up higher. Fish should be able to go to their natural, normal areas, which makes them even more accessible. Plus, they haven’t been fished all winter because of the weather. “The pressure was really slow this season – that helps,” he explained. “These fish are under a lot of pressure. We have a good population of fishermen all year-round. The fish normally don’t get a rest in between seasons. 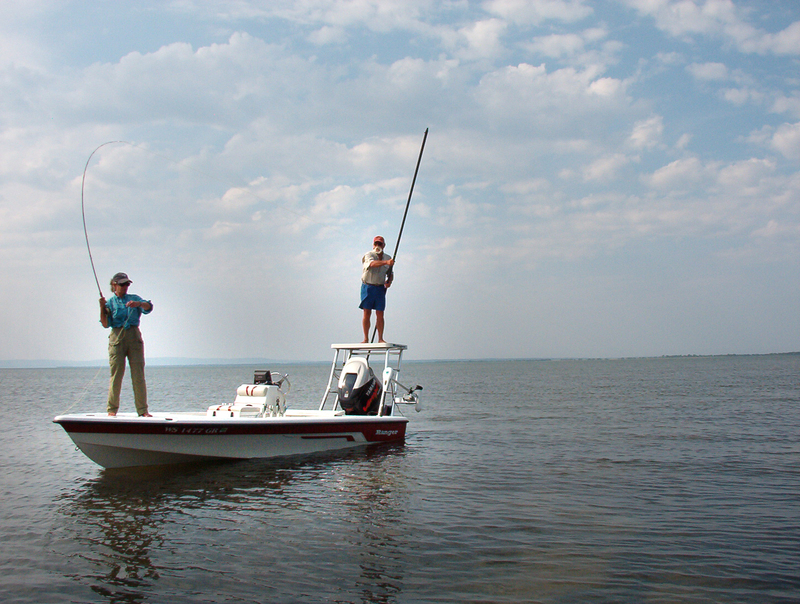 No matter the season, Chequamegon Bay offers anglers superb fishing opportunities. Click here to learn more! River Rock Inn & Bait Shop Live Cam – Hot pond area. A fishermen’s guide to avoiding trap nets and gill nets in the Great Lakes — and what to do if you get caught in a drifting net.